It is finally Fall and I LOVE all things pumpkin. I have loved pumpkin ever since I was a kid. I used to look forward to my birthday and Fall so that I could have pumpkin bread, pumpkin pie, and find pumpkin butter somewhere to put on hot biscuits in the mornings. When I found this recipe for pumpkin butter, I knew I had to try it. 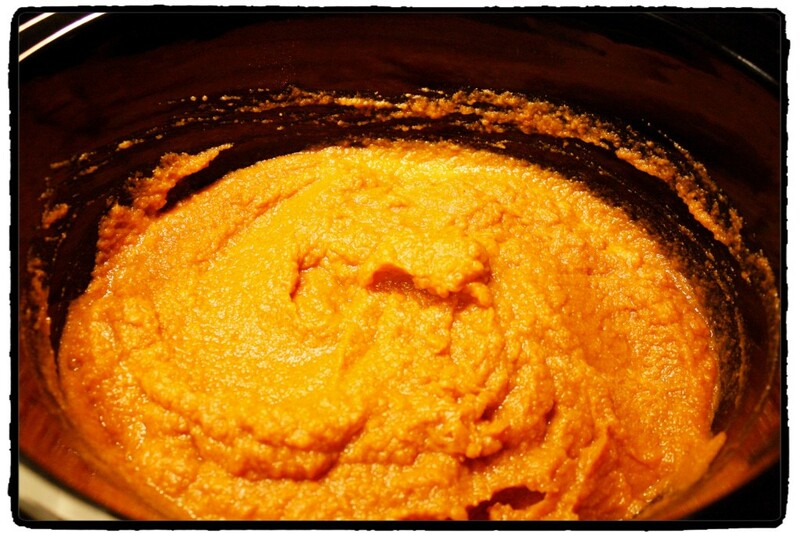 It was so simple, made in the crock pot which I love crock pot recipes, and would help fuel my fall pumpkin obsession! I could wait until this morning when I fixed some biscuits and had creamy pumpkin butter on them for breakfast! This recipe will take approximately 5 hours for cooking, and then I let mine cool down in the crock pot for about an hour before I transferred it to containers for storage. 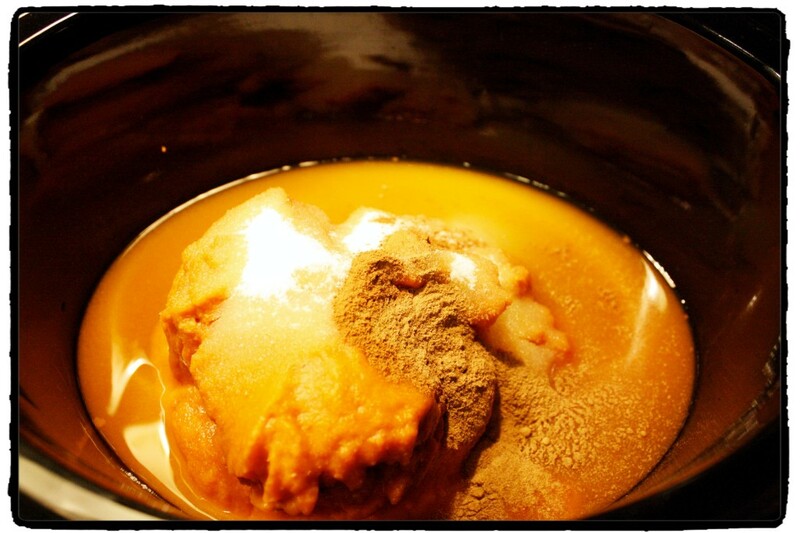 One thing to keep in mind, you can NOT can pumpkin butter in a water bath. The acidity is not high enough, even if you add some to it, to keep it from making you sick. You can however store it in the refrigerator for a week or so and freeze it. I started out by putting two cans of pumpkin in to the crock pot. I then added all the remaining ingredients. Gave it a good stir and set the crock pot on LOW for 5 hours. I did stir mine about every hour to keep the sides from getting to dry and burning. Once the cooking was complete, I turned off the crock pot and let the pumpkin butter cool for about an hour. I put some on a container for the fridge and then placed the rest in several freezer bags in portions that I knew I would use in about a week. I placed those in the freezer. I couldn’t wait until morning to try the pumpkin butter, so I fixed a few pieces of toast and it was yummy! 5. Package in to containers for the fridge or freezer. Remember you can NOT water bath can pumpkin butter. If you want to place in cute jars as gifts, keep them refrigerated and inform the recipient to refrigerate as soon as possible. Will last about a week in the fridge. Oh my goodness! 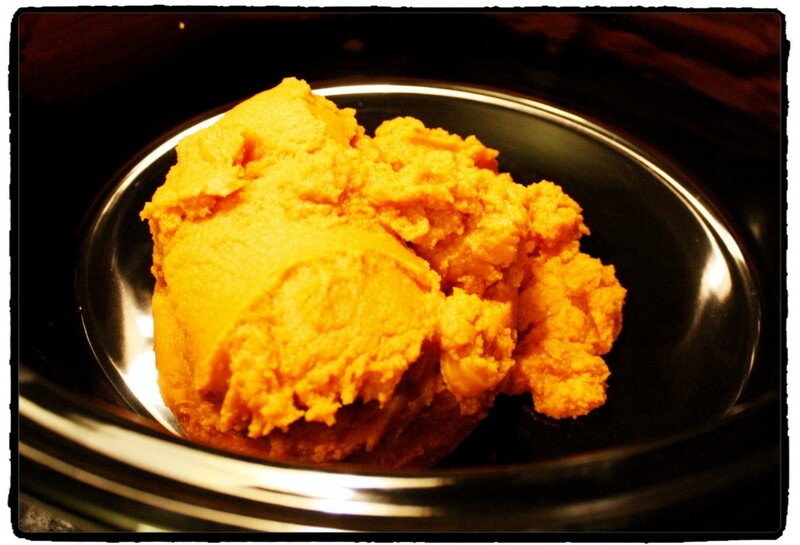 I’ve never had or heard of anyone making pumpkin butter but I’m sure it is delicious. I must try this! I bet it would go so well with my fresh homemade biscuits. Growing up, I could only find it a few places and would always buy some and be so sad when it was gone. Now I can make my own and yes, it’s wonderful on biscuits. I’d like to say mine are homemade, but I haven’t mastered that yet but still trying! Thank you for stopping by!